Who else followed last week’s New York Fashion Week S/S19? 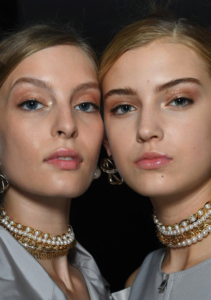 While the clothing might still be a bit too extravagant to wear immediately, NYFW does bring us inspiration aplenty for the newest trends both in clothing and beauty styling. So, while we have to wait until the clothes finally hit the shops, makeup looks are a thing we can immediately recreate. One of my favourites this edition was the look in the S/S19 Adeam collection by upcoming designer Hanako Maeda, who was inspired by the 90’s comeback kid. 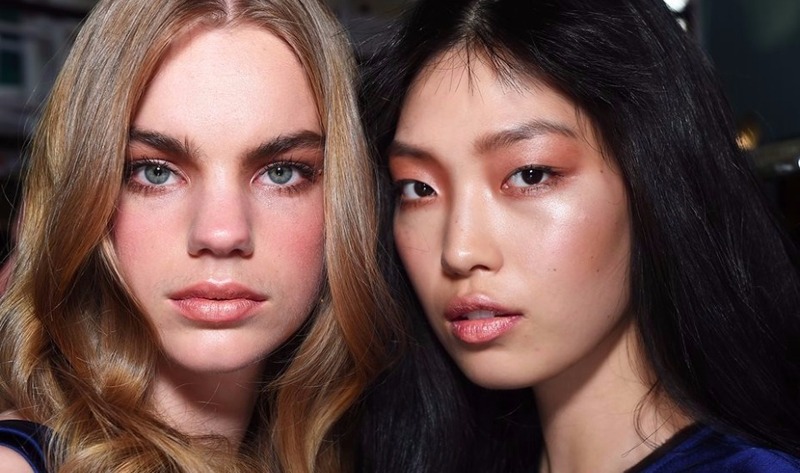 The said makeup look was created by NARS’ MUA Sada Ito, which is inline with the 2018 Summer’s glass hair and a glowy natural visage. 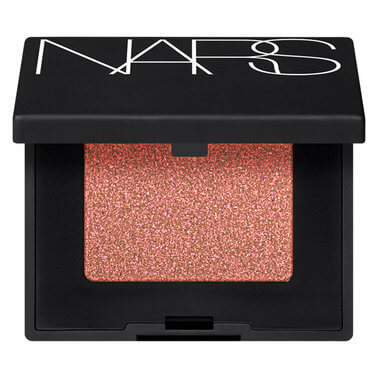 Check out how to recreate this NARS radiant look. In order to keep the skin radiant and natural, opt for either a BB cream that will give you extra skincare as well, or a tinted moisturiser. By using these products instead of a foundation, your skin will look more natural and not too heavy. 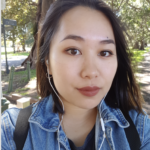 I’d recommend using the NARS Pure Radiant Tinted Moisturiser, or the BareMinerals Tinted Hydrating Gel Cream which I use everyday. These types of products will most likely give you a more dewy look, which showcases the radiant look perfectly. There’s no need for powder, but if you can’t leave the house without setting your makeup, use minimal powder for ultimate radiance. Bring some colour to your face by applying a natural bronzer under your cheekbones. Attention: apply with moderation. To finish off your base, go for your highlighter. While this look revolves around a glow, it’s important we keep it natural. So no blinding shine (you’ll know if I’m talking to you). MAC’s Strobe cream Goldlite is the perfect soldier to achieve this goal. The eyes are all about that reflection. Apply an eyeshadow that contains a fine glitter all over the eyelid. Use an eyeshadow with a peachy golden undertone, or if your skin is a bit darker you could even try a bronze based colour. To keep it in the natural trend, only apply a max of two coats of mascara (NARS Climax Mascara). That means no eyeliner to make your look harsher or no fake eyelashes that are able to make you fly. Keep applying your eyebrows the way you were, provided that you followed the 2018’s summer trend, natural and bushy. Fill up the sparse areas with some brow powder, and apply clear eyebrow gel and brush the hairs up. You could try using MAC’s Great Brows and Anastasia Clear Brow Gel. For the lips we go glossy. Use a translucent lip gloss with your own lip colour as base or go for a pink shine. While your makeup might be on point, your hair is the one that will make your look complete. 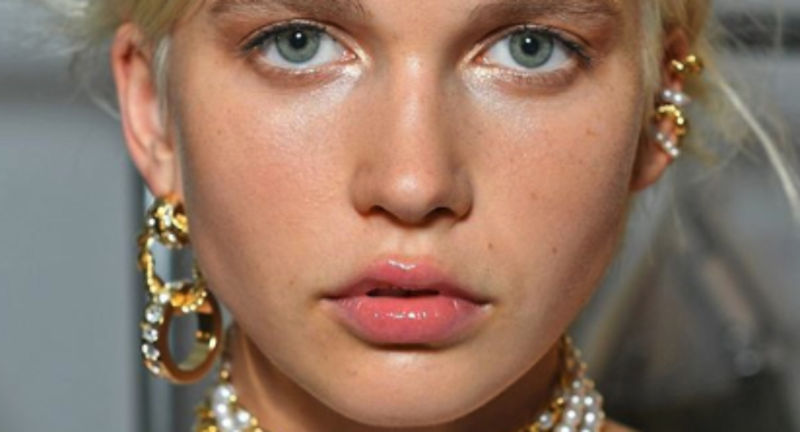 The trend for SS19 can be interpreted as the extension of this year’s glass hair, a sleek glossy hairstyle on which we have done an article on before. Check it out here. While glass hair revolved around sharp edged straight bobs, the new trend is keeping it asymmetrical, while maintaining that sleek look. You can even go past your jawline. So, let your hair down and let that shiny glow, whilst channeling your inner 90’s Jennifer Aniston. Or bundle up those strands and create a shiny slicked back hairstyle tied in a low ponytail. Try this look out, and be part of the runway by shining like the radiant star you are.